Good to know, so you can be a more supportive colleague for classroom teachers? You bet. Directly applicable to your work as a school counselor? Absolutely not. PD budgets are tight, so the school wants to get the biggest bang for their buck. That means the day is scheduled to help the 93% of the educators in your building who teach in classrooms, and the other 7% is just going to have to grin and bear it. Again. That’s likely to change in Michigan in the next few years, thanks to a bill that was signed into law yesterday. House Bill 4181 was created in response to three clear needs. The first need came from state business leaders, who felt the state was putting too much emphasis on the value of a four-year college degree. Since students didn’t learn about vital career options in fields like manufacturing and skilled trades, businesses found themselves with thousands of vacancies in jobs that required as little as six months training, many with starting salaries of $40-50,000 a year. The second need came from the public in general, who also had the feeling that maybe four years of college wasn’t the cure-all for Michigan’s economic woes. 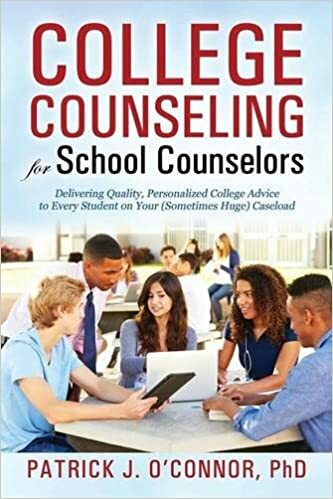 Polls showed an overwhelming majority of citizens felt the quality of college and career advising had a long way to go—and even though many realized part of the problem was due to the huge caseloads counselors worked with, there was still a sense something more could be done. 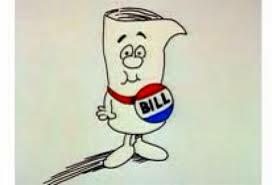 Combined with the frustrations of school counselors who were looking for professional development opportunities that spoke to their professional needs, House Bill 4181 found the essential support needed for passage. Michigan school counselors have long needed to complete 150 hours of professional development every five years to maintain their license or certification. This bill keeps that number at 150 hours, but requires that 25 of those hours focus on updated training in college counseling, and 25 hours focus on training in career counseling, with 5 of those 25 focused on careers in the military. The remaining 100 hours of professional development can be in anything else—including topics focused more on teachers—but the 50 counselor-focused hours is a big change, and a good start. The bill now requires the state to develop guidelines for what kinds of professional development will meet these new requirements. Testimony on the bill focused on activities like counselors using professional development days to visit college campuses and job sites, participating in online seminars and “make and take” workshops, and taking greater advantage of the free professional development options that already exist in the state. There are already enough free PD options in Michigan to have counselors meet these new requirements for the next 15-20 years. House Bill 4181 is expected to free more counselors from the bonds of teacher-based PD to take greater advantage of these programs, and the new ones that will come about as a result of the bill’s passage—all for the betterment of Michigan students, and Michigan’s economy.